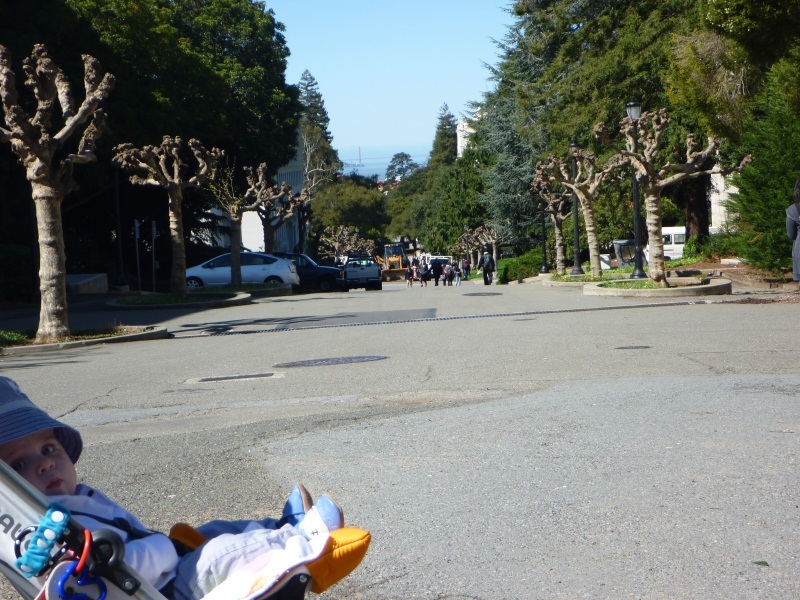 Last weekend the l-pod packed up their belongings, a pack-n-play, a car seat, a stroller, and a suit and headed on a last minute trip to Berkeley, California. We thought we’d go get a dose of that famous California sunshine. Yeah. Right. It was chilly for most of our trip, but we did get a good hour in the sun before we flew on Monday. The real reason for our trip was an interview. 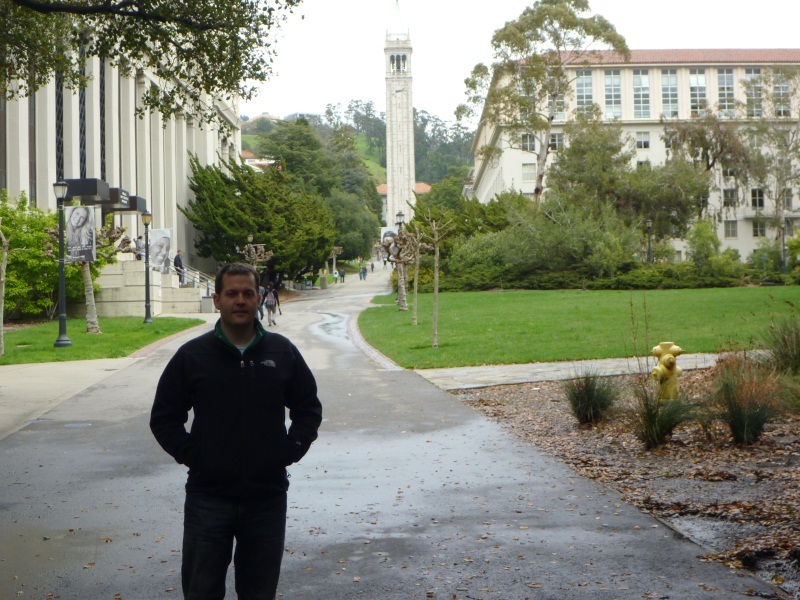 Scott interviewed at the school of business for an executive MBA program. That’s right. Scott’s going back to school! He found out today he was accepted to the program. He needs to investigate the schedule just a little bit and make sure all is good, but it looks like our house is getting a little smarter. And busier! Carter thinks it’s awesome. While we were there, he skipped naps, he broke curfew and even got to party at a college pub (ok, kidding there). He had a great time and charmed all those college students. Actually, Scott and I got a good laugh on Monday. 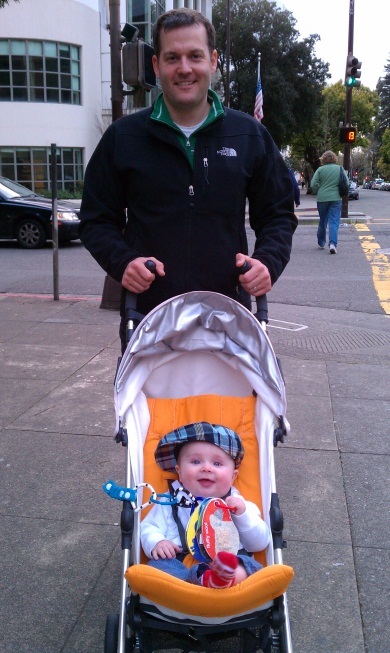 I cruised through campus with my buddy in a stroller to meet Scott after his interview by the bell tower. I got A LOT of funny stares from students. I decided it was a nice little reminder of how to behave with all the freedom being a college student allows. Anyway, that’s what’s going on in the Lpod house. 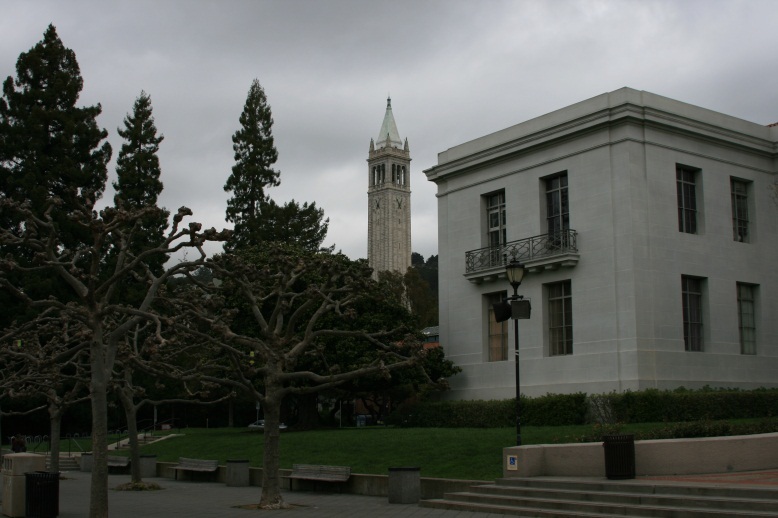 Scott might soon be a Columbia University & Cal Berkeley student all in one (the program is a joint offering from both universities – whoa). 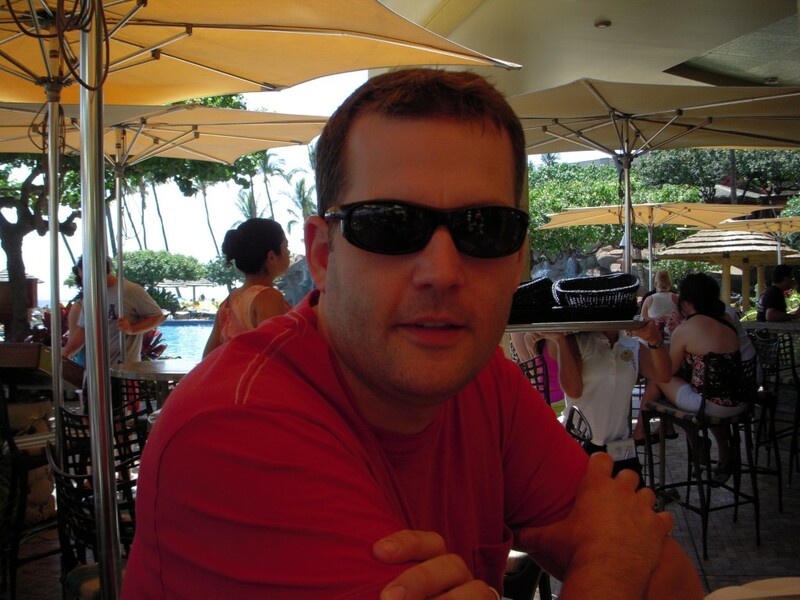 We won’t be relocating to the bay area or new york, and Scott will keep working. It’s a program where he’ll travel to either university about every three weeks for a few days. It’s definitely going to be an undertaking for all of us! We’ll know for sure which way we’re going in the next few days. Exciting times! 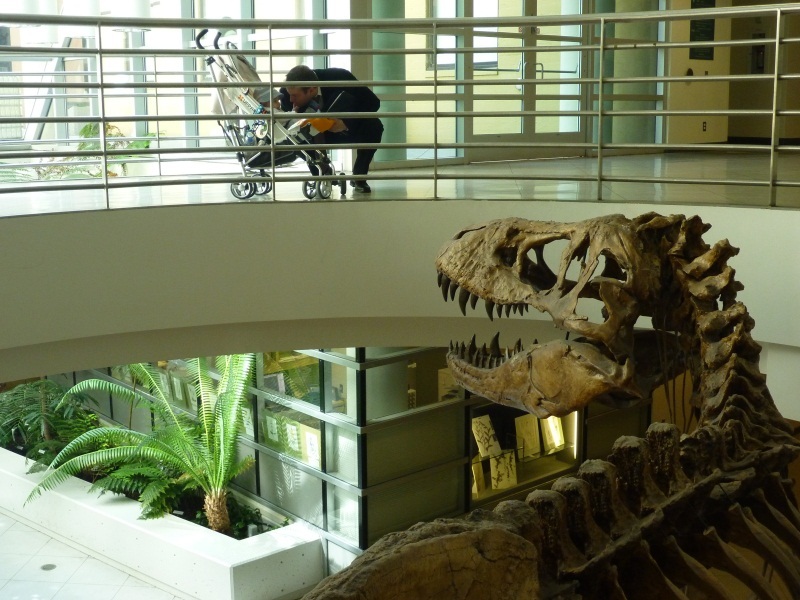 Our return trip from Texas was… interesting? Yeah. Interesting. Carter screamed the entire flight. Which took well over 4 hours because of head winds. A four year old girl (singing Ke$ha — look it up if you don’t know) kicked my seat the entire way, so each time I got Carter calmed down, he would startle awake to this gem behind me. When we landed in Seattle, the airport was pure mayhem. It had been snowing all day and (per usual, get on it Seattle) the city was caught off guard and all routes into the airport were at a complete stand still due to car and bus accidents. It took Scott 7 (yes.SEVEN) hours to get to us at the airport. I sat on the floor of baggage claim to nurse CJ because there wasn’t an empty seat to be found. 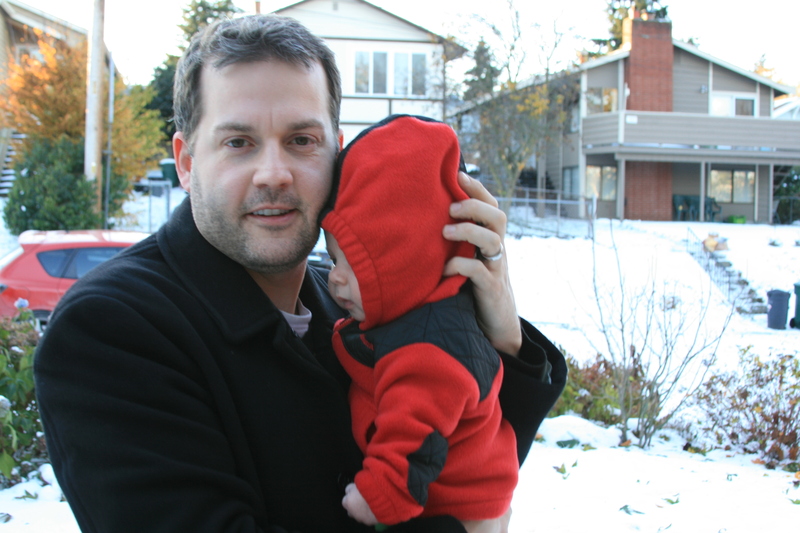 When Scott finally got to us, Carter was completely wiped out from his screaming insanity earlier in the evening. Fortunately, he slept the entire 4 hours it took us to go 19 miles to the house. 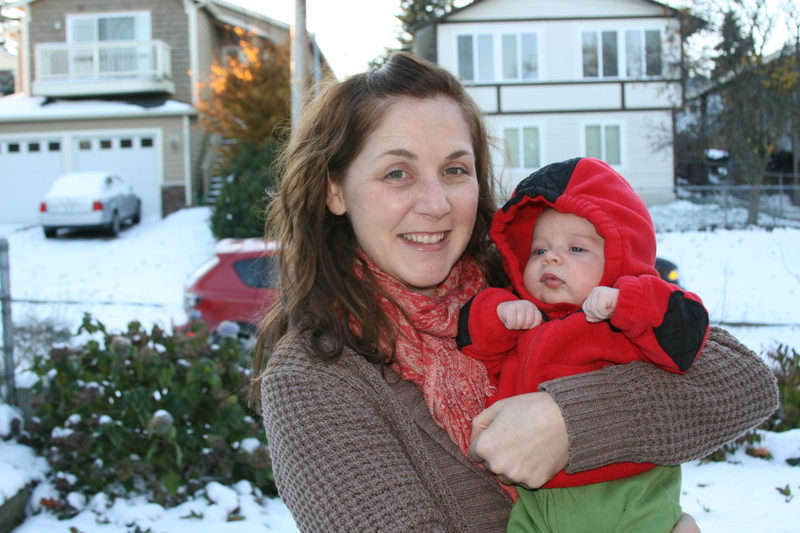 We woke the next morning to a beautiful 2″ of snow. Amazing what 2″ of snow can do to a city built on hills. 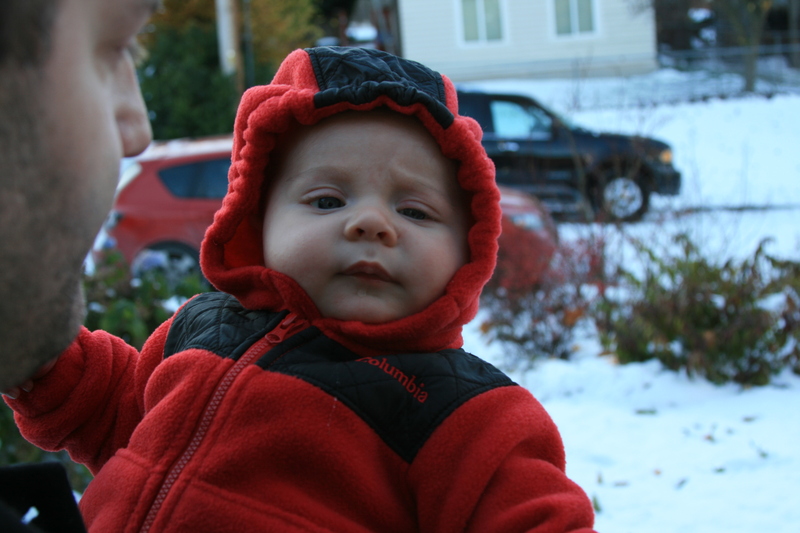 He didn’t seem to notice, except for the take-your-breath-away-cold he felt when we took him outside. Next year, he’ll be all over the snow. i'm sorry, why is my first snow so cool? it's cold. This is a La Nina year, so I expect we’ll see some more of the white stuff before it’s all said and done. Let’s just hope it’s NOT on a day we are traveling (ehem, Christmas 2006 repeat, no). seriously, guys. let's go inside. 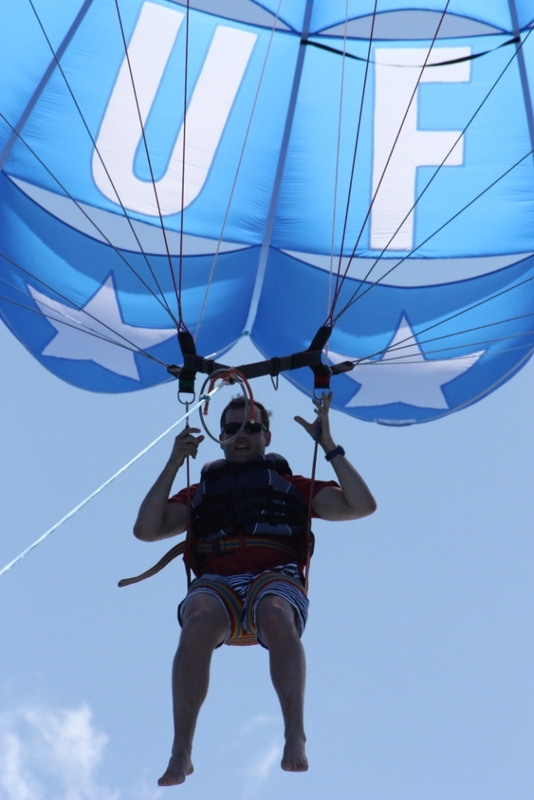 Our last full day on the island, Scott wanted to parasail. I thought I’d be able to ride on the boat and take cool pictures. 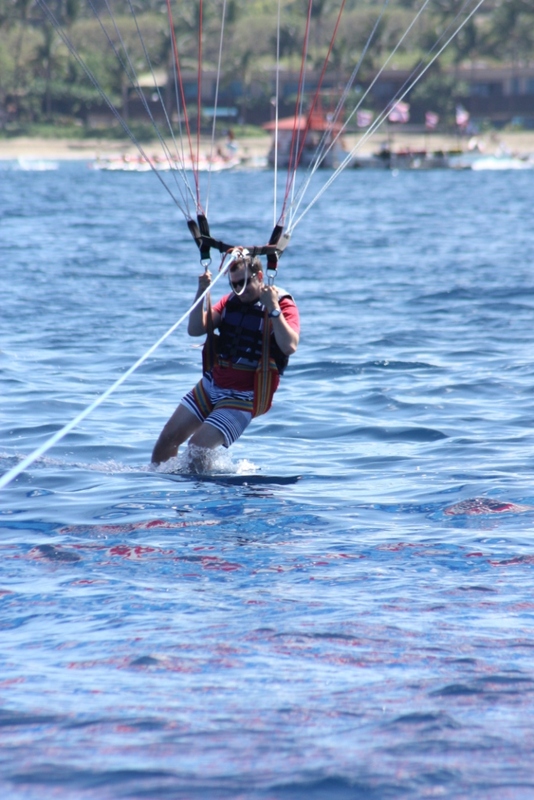 Apparently, pregnant women are too broken to ride in boats (oops, don’t tell anyone what I did today) so I sat on the beach while Scott went parasailing. It was fun to watch from the beach with my half caff americano in the morning. 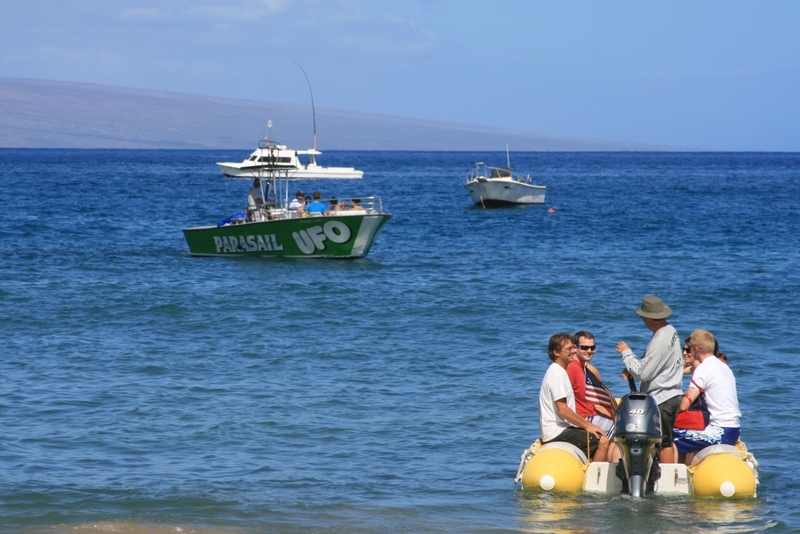 They took him by dinghy out to the parasailing boat. dinghy. no, not my husband, the boat! He said it was really peaceful and relaxing and not at all scary. 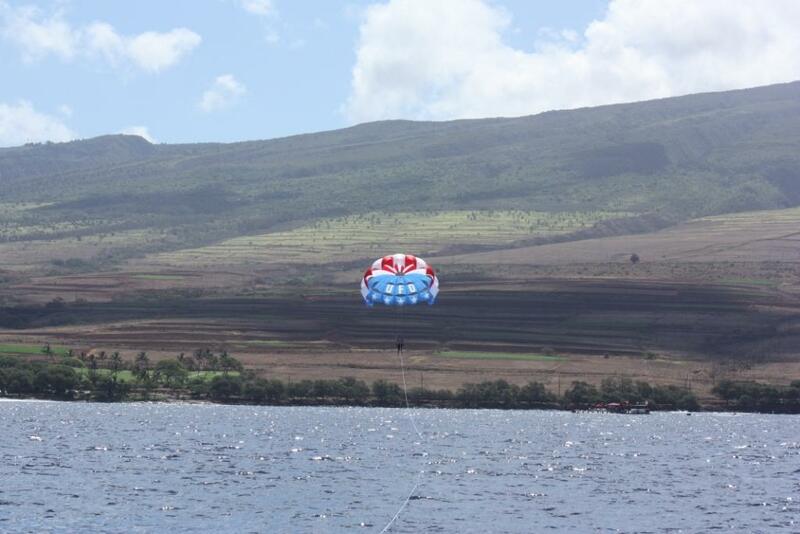 On my next trip to Maui, I am so going parasailing! 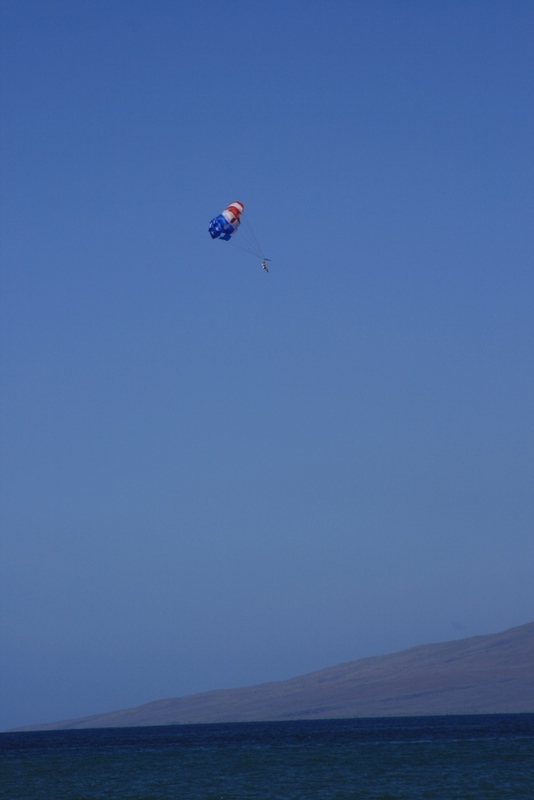 He went 800 feet above the ocean to soak in the island. They even dipped him in the ocean and let him go back up. It’s all wench driven from the boat you saw right off the beach. This is my view of it all from the beach. 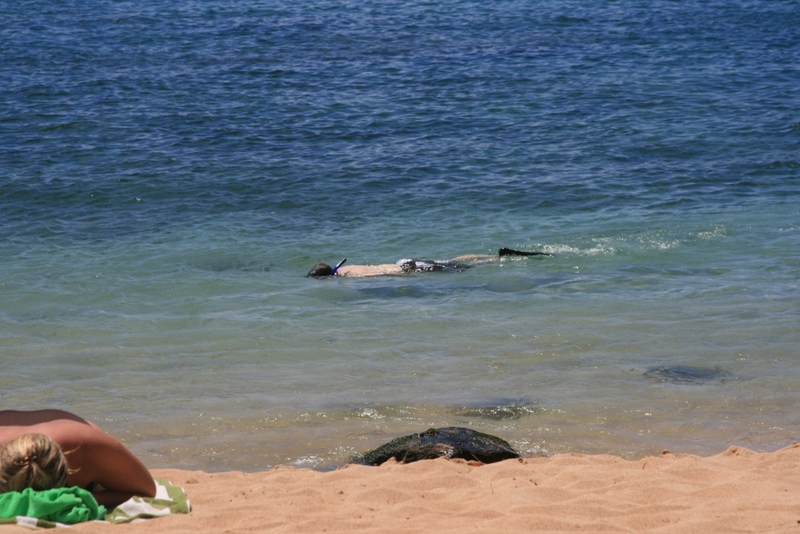 We spent more time hanging out on the beach and at the pool reading our books. 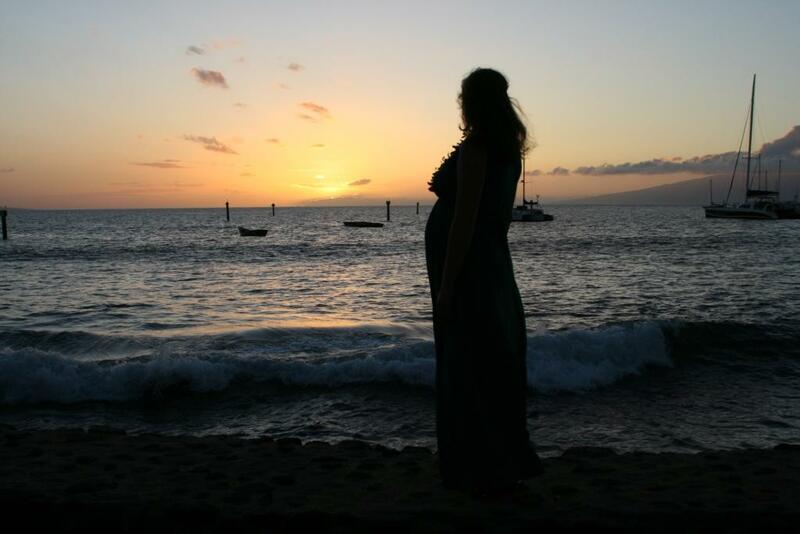 That evening we had reservations at the Old Lahaina Lū‘au. It was surprisingly good. We went in with low expectations for both food and entertainment, but the food was actually fantastic and the entertainment was nice. We shared a table with a newlywed couple from New Jersey who were on their honeymoon. They were really nice and the setting was perfect right on the water watching the sunset. 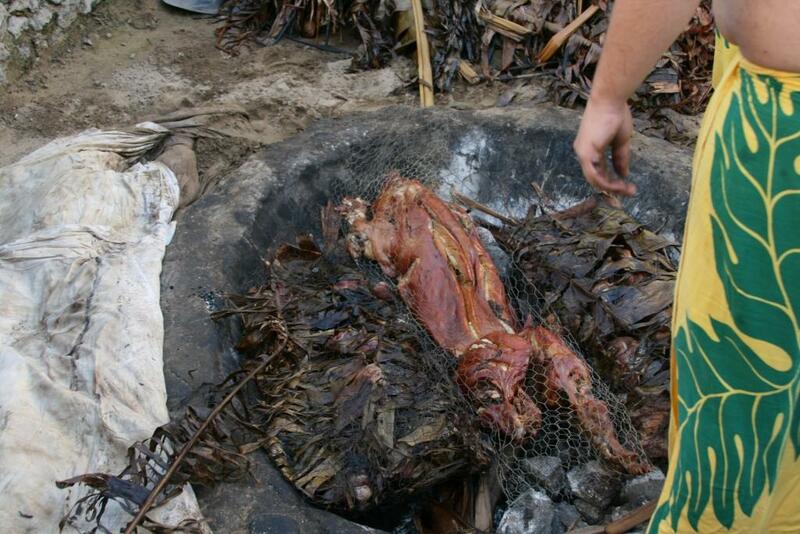 They do a traditional smoking of a whole pig underground and unveil it for their guests. The gentleman in the sarong was telling us all about how it is smoked and telling cheesey jokes. As you can see, there were a ton of people waiting there. We got there a little early so we could see the pig. It was hot and crowded and annoying. A young british girl was standing in front of us and decided she’d rather partake in a fresh, frozen lava flow (pina colada with strawberry purée) than stand around looking at a pig in the ground. She looked at her mom and said *put on your best british accent now* “it’s just a pig, being dug out of the ground?” Her mother nodded her head. The girl said “Bugger. I can just bury some bacon in my backyard and see this at home” as she wandered out of the crowd for her rum fueled cocktail. We have been cracking up and saying “I could bury bacon” in our best british accents all week. The pig was uncovered. The skin looks crispy and yum. Like a smoked turkey. They carried him away for our dinner. 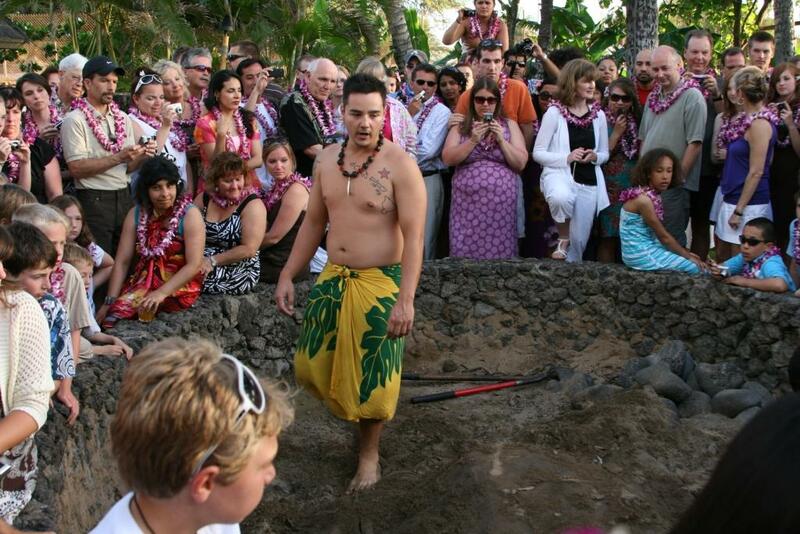 I suspect that pig did not feed all few hundred or so of the people there, but the ceremony and show was funny. The sunset was spectacular that evening. 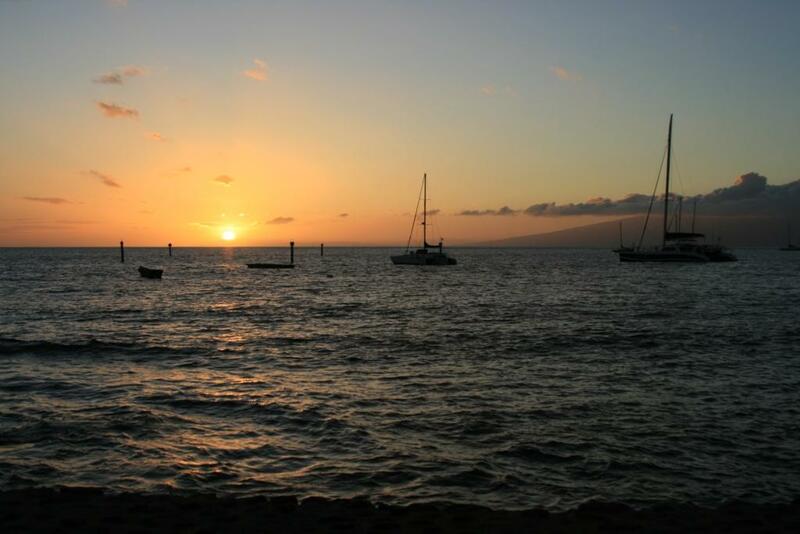 A perfect end to our week in paradise. We got back to Seattle late Tuesday night to storms, gusty winds, and chilly weather. It was quite the shock to the system. So were our inboxes. We’ve readjusted to real life and even got a spectacularly sunny, warm day in Seattle, so all is good! Many people told us of a little breakfast spot called The Gazebo. We simply must have breakfast there every day! Well, our hotel reservation included a free giant breakfast buffet every morning (a $60 value). It was hard to pass up free given the expense of food for all the other meals. But we couldn’t miss the Gazebo. We hopped over for breakfast and only had to wait in line for about 30-45 minutes. 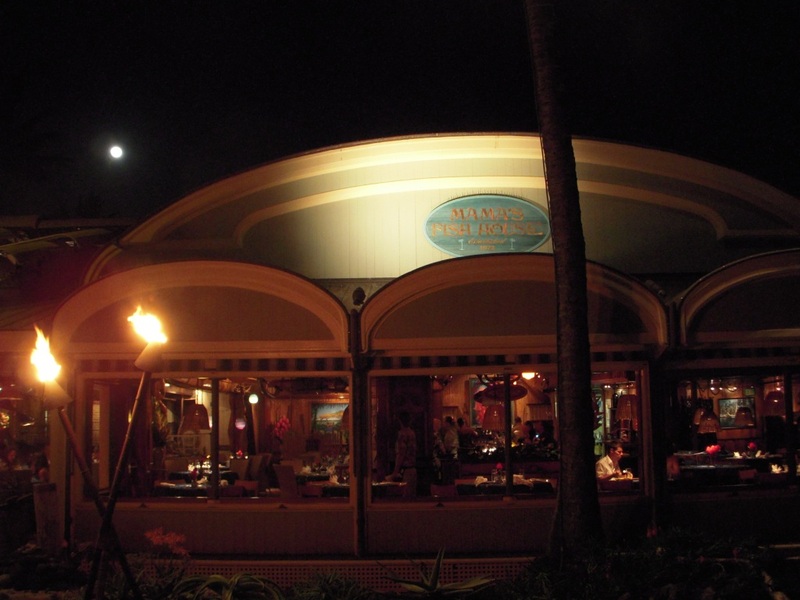 It’s a tiny little place with 12 tables and some really tasty macadamia nut pineapple pancakes. Scott really liked the coconut syrup they served with the cakes. Thanks for the recommendation, folks, it was awesome! Just outside the breakfast spot is this funny sign. Scott yelled “whale ho” all day when he saw me. I tried not to take it personally. (I’m kidding, my husband never yelled it AT me, he just yelled it a lot and I pretended to be offended). We saw no actual whales, we missed them by a couple of weeks. 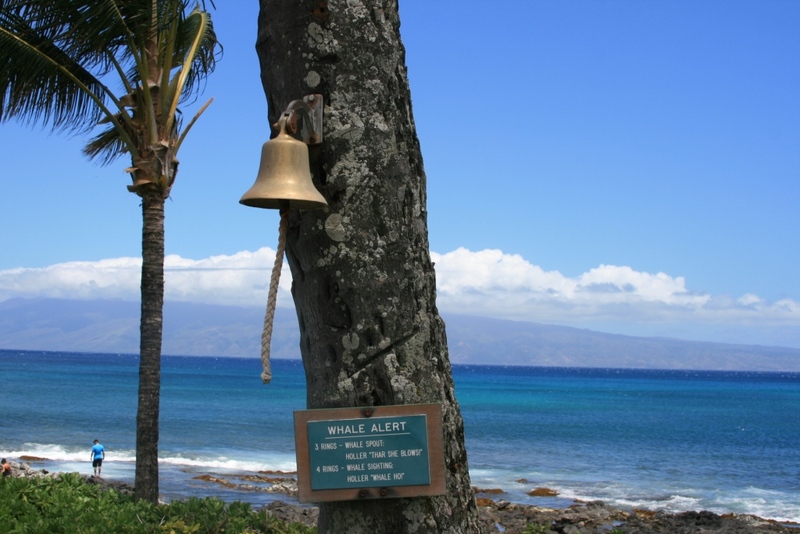 We then spent the day at Kapalua Bay Beach. Scott did a lot of snorkeling and saw tons of great stuff. I hung out in the shade and read my book. We hung out by the pool at the hotel for a little while after the beach as well. The coolest thing we did this day was the “astronomy tour” at our hotel. There is a small observatory on the roof of the hotel. We got to go up and see stars we don’t typically see at 47&deg; N (Seattle’s latitude). We watched the moon rise over the West Maui Mountains. There was also a powerful telescope where we got to see the rings and four of the moons of Saturn. It was really fun. Even if I wanted to go to sleep half way through. 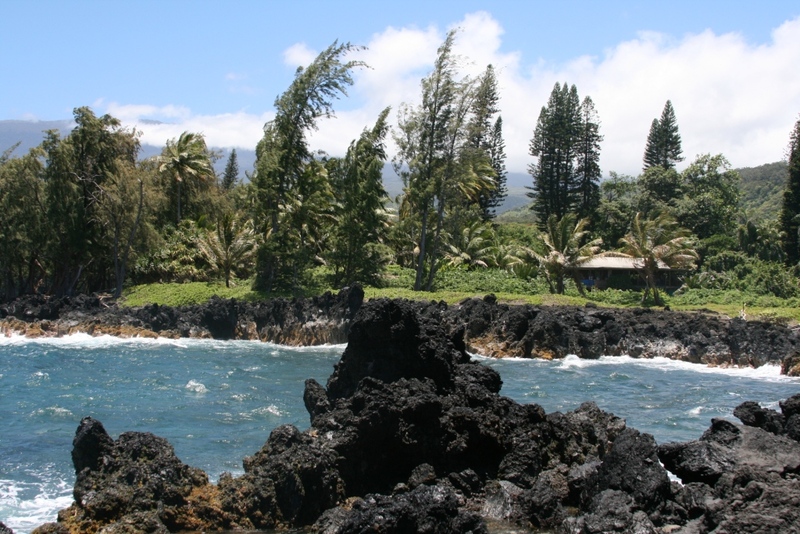 We heard and read much about the Road to Hana and decided that it was definitely something on our “approved” list, despite the many stops I would probably require. 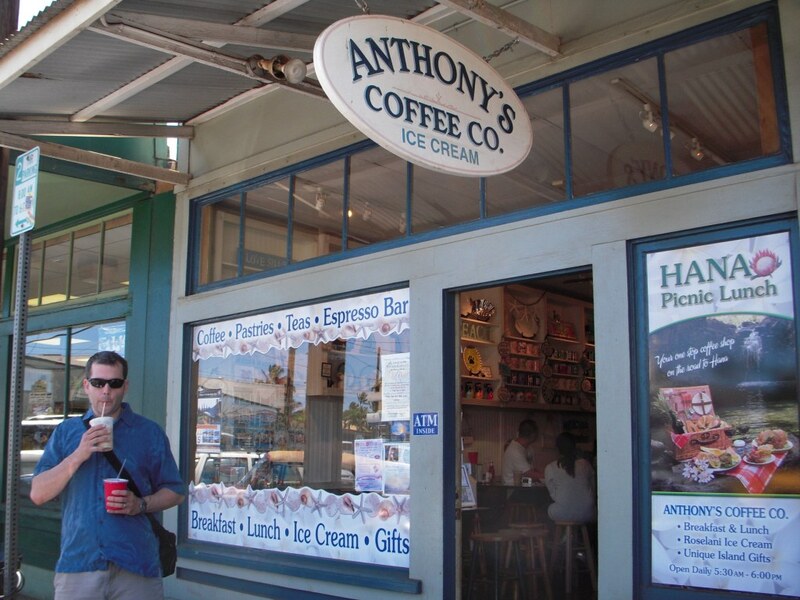 We started out by going back through Pa’ia and stopped off at a coffee shop recommended by one of Scott’s coworkers. 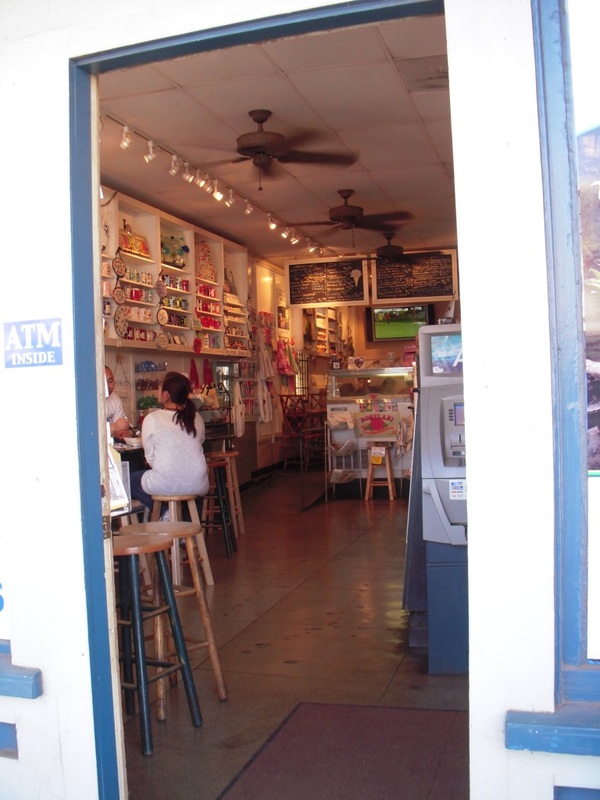 It was a quaint little coffee shop, and they would even pack you a picnic lunch for your trip to Hana if you wanted. We passed, figuring we’d find something on the road. he's an espresso addict. italy 4 years ago created a monster. They sell much more than coffee here as you can tell when you peek inside. 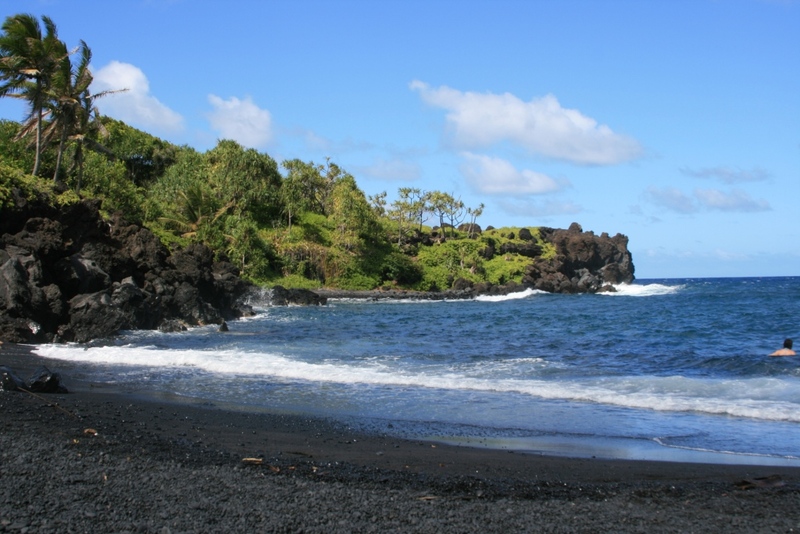 The concept of the Road to Hana is that you stop off along the way at places that sound interesting to you. 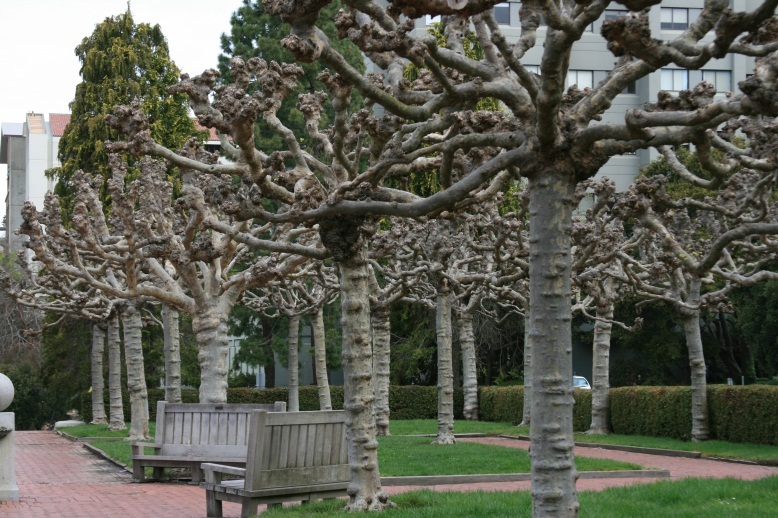 There are many hikes, waterfalls, viewpoints, and places to picnic along the way. Our mission was to see beauty, stay comfortable, and avoid crowds. We avoided places that were loaded with cars (45 Sebring convertibles anyone?). 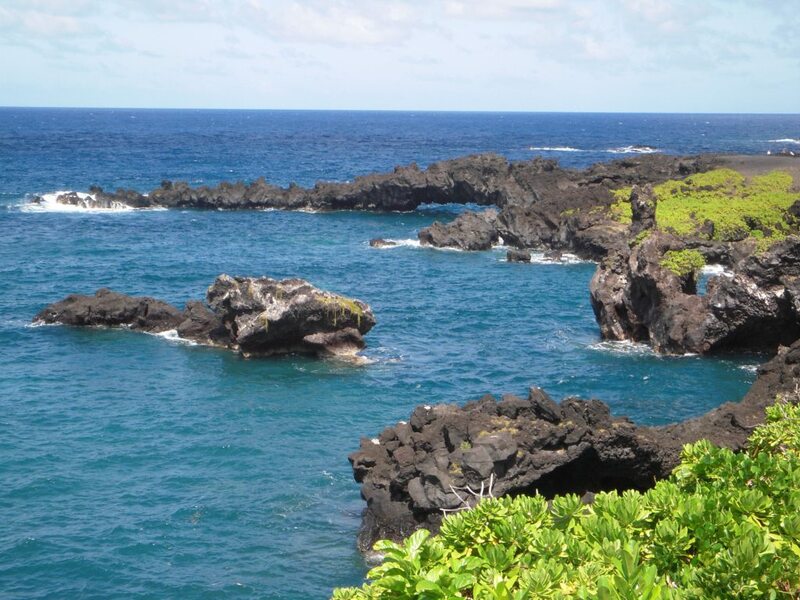 Our first stop was at Keanae Peninsula. 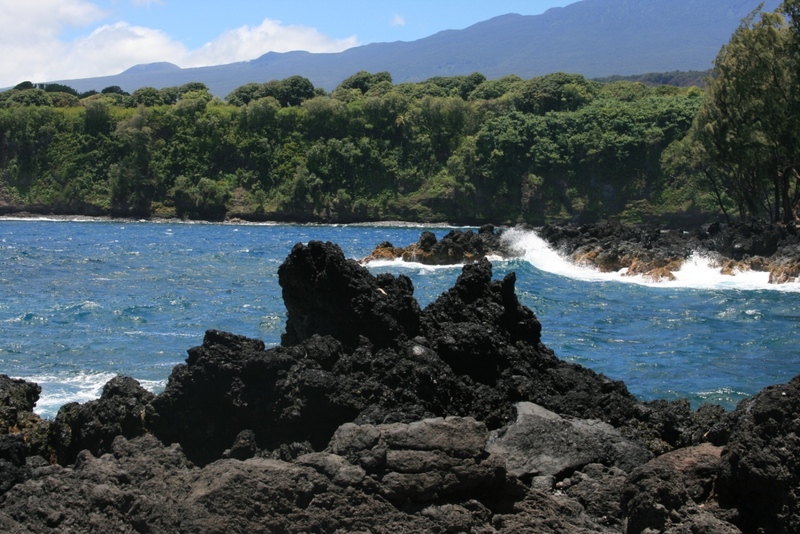 The water was rough and crashed against the beautiful black lava rocks. Given we were staying in West Maui, the more jungle-like flora was a fun change for us. I found some handsome man with a nice camera. 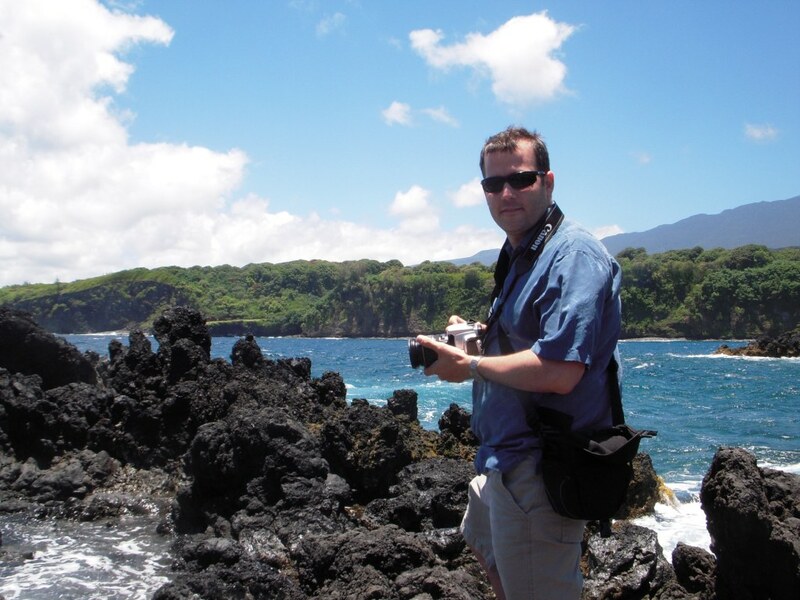 After taking this picture, I wandered off to a different part of the peninsula where a family stopped me and asked me to take their picture in front of the rocks and water. I obliged. I found out a few minutes later, that my lovely husband posed as “The Captain” (captain morgan spiced rum) like in all those dumb commercials and billboards in the background of this poor family’s picture. I’m so embarrassed. You’d think he’d had a couple mai tais for breakfast (I can confirm he did not). I was an absolutely terrible blogger and didn’t take any pictures at the road side stand in the jungle outside Hana where we stopped. I got the most delicious loaf of bread (still warm from the oven). It was puréed pineapple bread with toasted coconut flakes on top. I also got a fruit smoothie with papaya, strawberries, bananas, kiwi, and pineapple. No ice cream. No yogurt. Just good old fruit and ice. Awesomeness. We also watched some other tourist take a machete to a coconut and bust it open for the little brown papery nut we know. A sleeping dog nearby was terrified and scooted away quickly. We probably should have as well. 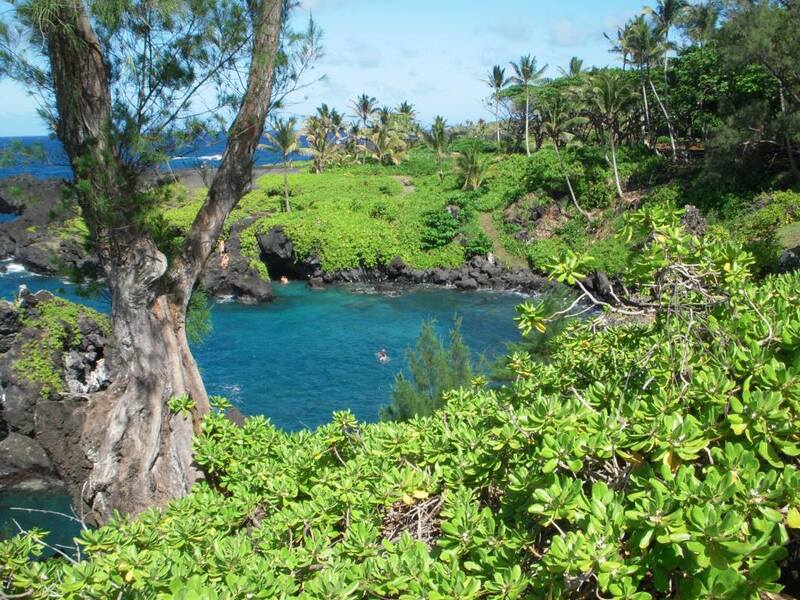 I did a good job and took pictures of our next stop in Wai’anapanapa (glistening waters) State Park. 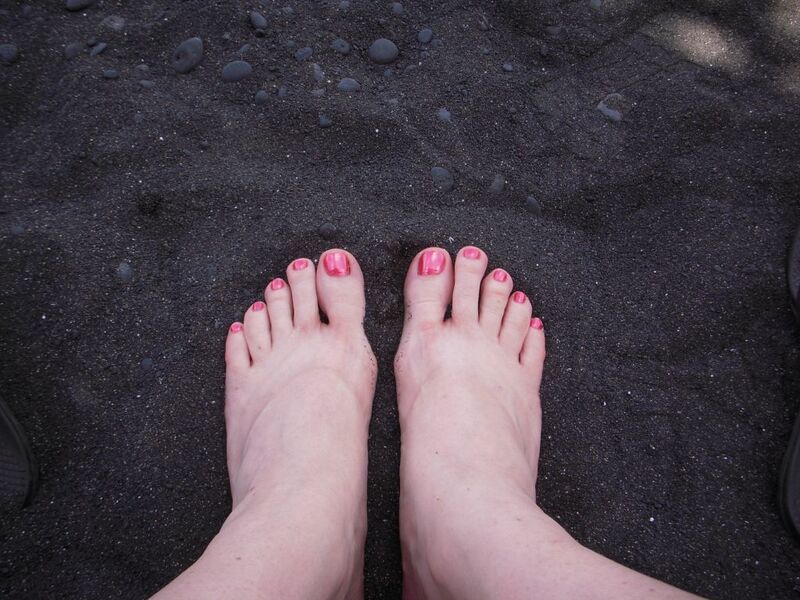 This is by far the best black sand beach on Maui (at least the ones outsiders know about). Most of the ones I saw looked more gray. This one looks really black. And the water is a beautiful blue. 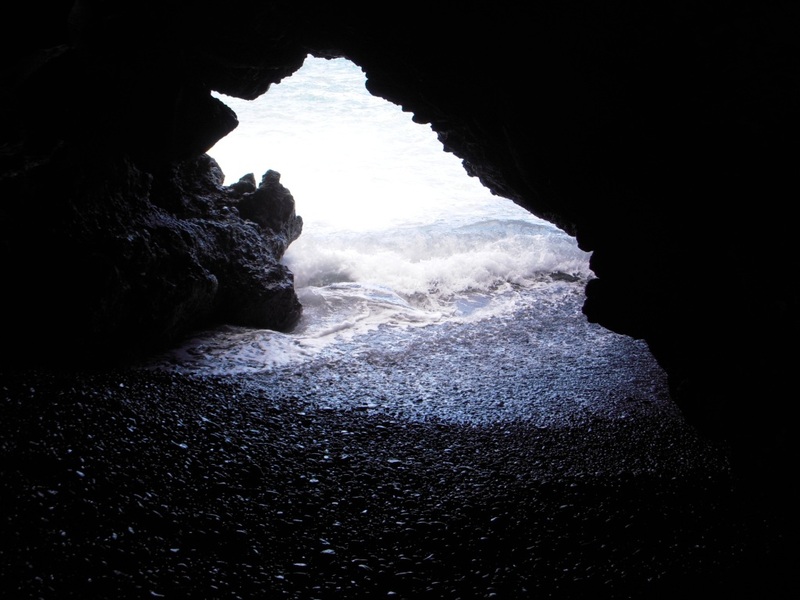 When the waves crash up on the beach, it’s just the color of sea glass contrasting with the black sand. There was a group of people climbing up the rocks and jumping off into really rough, rocky waters. I thought they were bananas. And just like the paparazzi, I just took pictures instead of being ready to call an ambulance when they crack their heads open. No heads were cracked. They came back for more. I got bored and took pictures of my feet. My puffy, puffy feet. They took a few days to recover from the six hour flight. 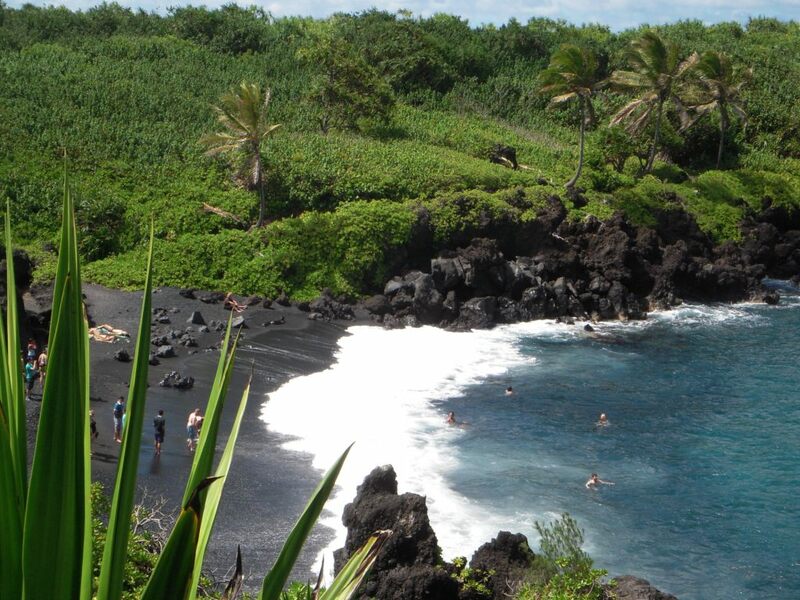 Black sand is a result of lava flowing into the ocean and shattering immediately upon hitting the cool water. 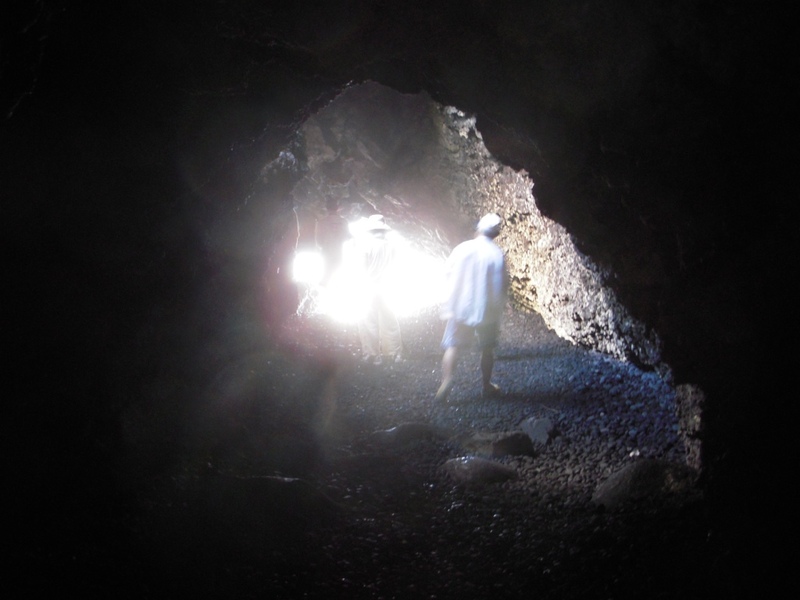 The beach was fairly crowded, but at some point everyone got up and made their way into the lava tubes. Which we of course did too. You have to duck pretty low to get in, but it’s pretty spectacular when you do get in there. 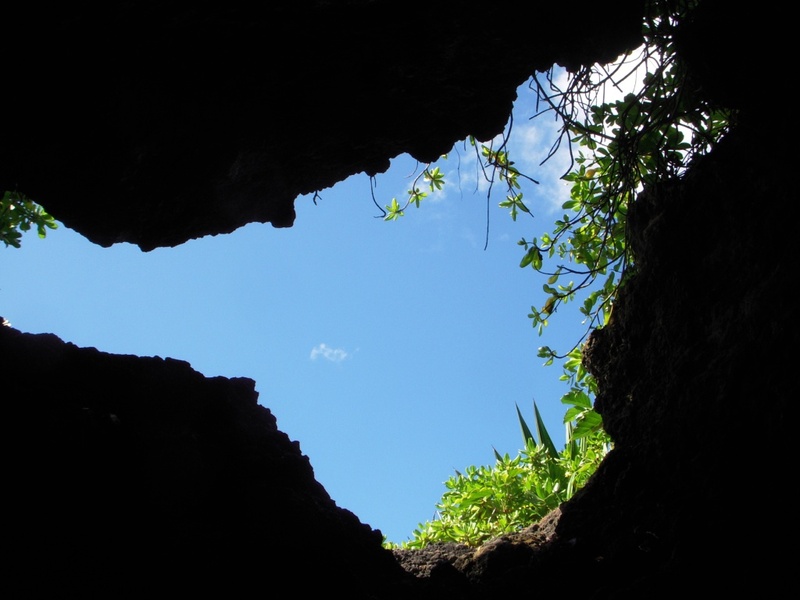 One opening breaks to the sky. The other breaks to the ocean. Apparently once a year the water flows in red in color. There are ancient polynesian myths about the blood of a queen, but it’s really some microshrimp that come in and make the water tinge red. On the hike back up, we noted a cool swimming hole. Apparently down here you can swim into a lava tube similar to the one we walked in. 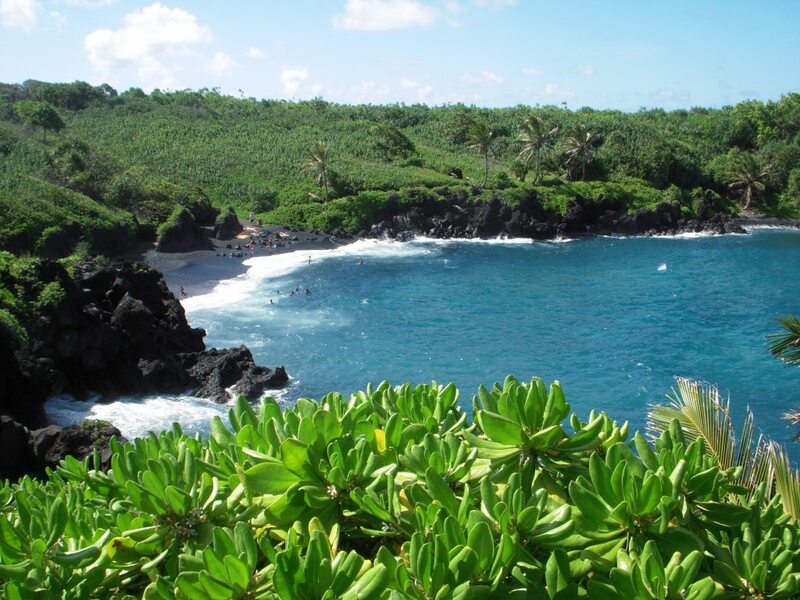 If you haven’t driven the Hana Highway, I suggest you do. But drink a can of patience before you go. The road can be a little stressful at times. The road is only 68 miles each way, but there are 59 bridges. 46 of them are one lane. We saw many hilarious mishaps along the way. A convertible mustang with it’s back tires off the ground because it tried to make a too-tight-turn to one of the sites/hikes…a truck towing a truck passing on one lane bridges…people stopped in the middle of a one lane bridge around a blind curve because they wanted a picture… it could go on. We had a great time though! I thank my patient, master driver. 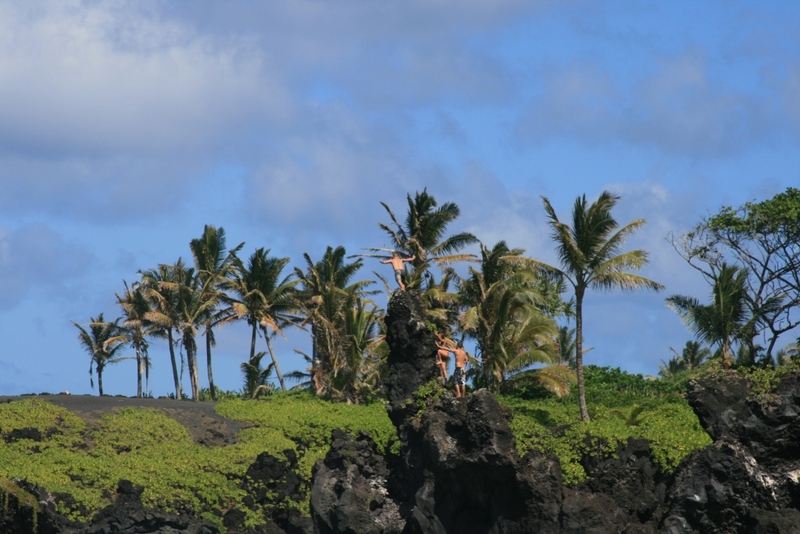 As we started planning the week, we realized Hawai’i was chock full of a bag of don’ts for me. I’m not used to being told “no” on any kind of adventure, so it was a little hard. Also, most of the fish in Hawai’i is on my “absolutely don’t touch it” list. Mai Tais by the pool? Fogeddaboutit. Fun 🙂 At first, it was a little frustrating, but we found ways around my limitations (man, it makes you feel broken, not pregnant) and still had an absolute blast. If I can fly in a plane, I can fly in a helicopter! 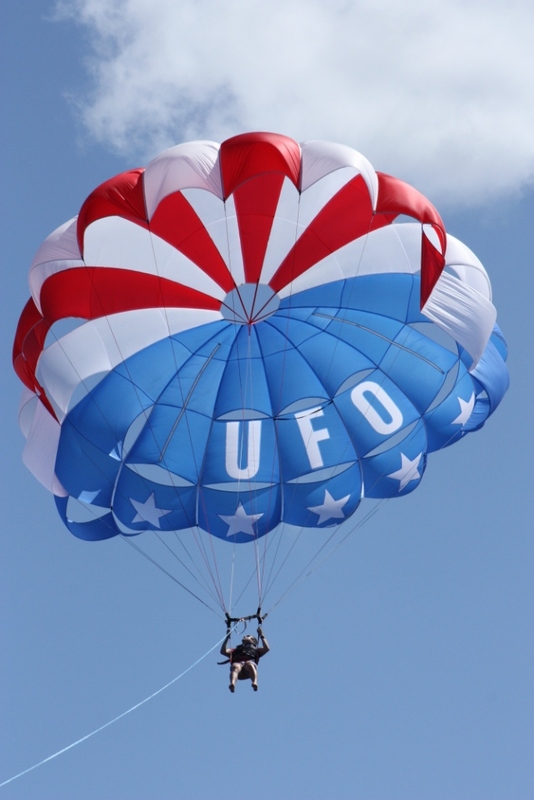 We did a little research and found a very reputable company to give us a tour of the islands via chopper. 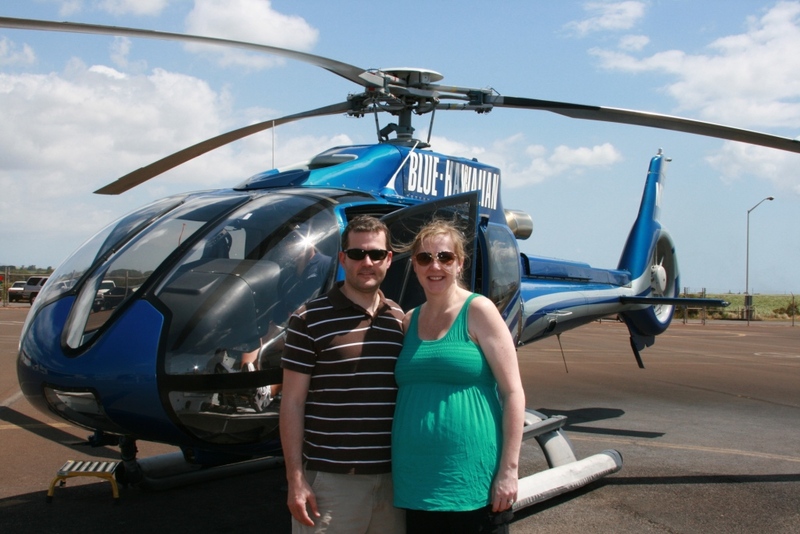 It was the first helicopter ride for both of us, and it was tons of fun. 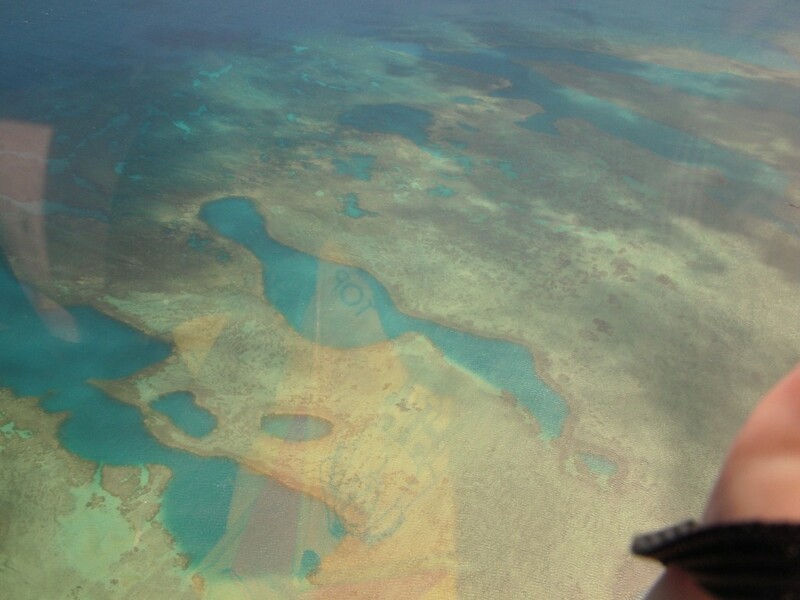 We were traveling at about 150-200 mph above the water and instantly made way for the island of Molokai. We got pretty close to these waterfalls, but it was hard to get good pictures. A lot of the other people on the chopper were wearing white shirts and light shorts so their reflection was in most of our pictures. These waterfalls were from the previous night’s rainfall. It rained pretty much all day every day on the mountains of Molokai while we were there. 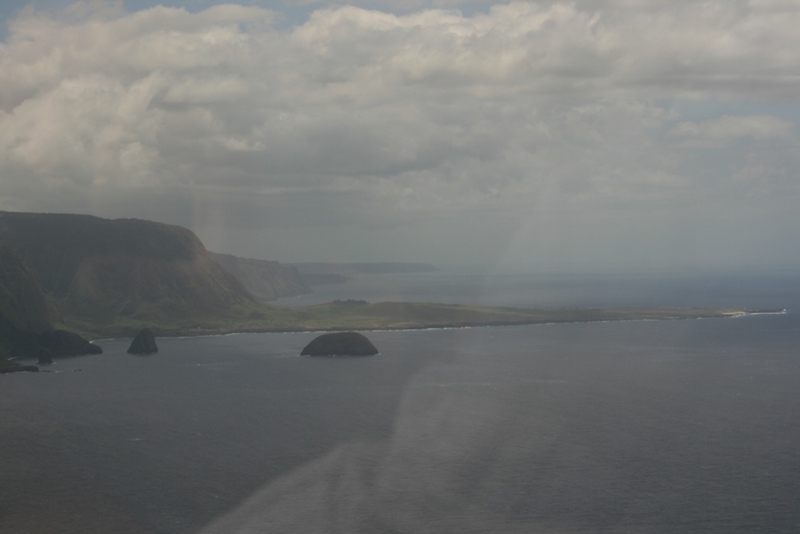 What was amazing to me was the sheer cliffs of Molokai. 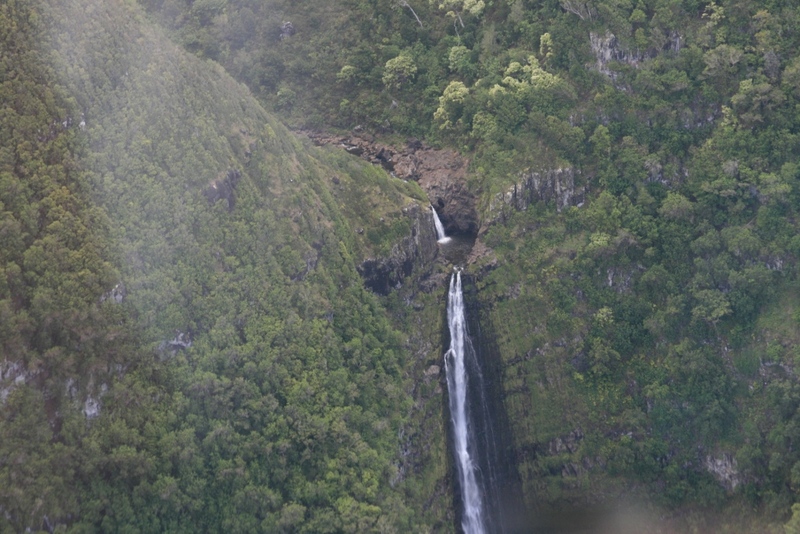 Apparently much of Jurassic Park 3 was filmed here (and filmed using the helicopter crews we were flying with). 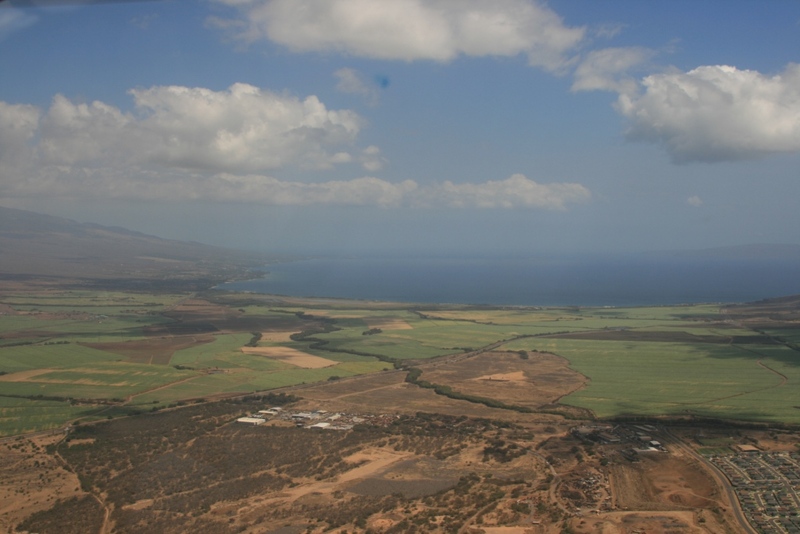 Then we headed on over to Lanai. 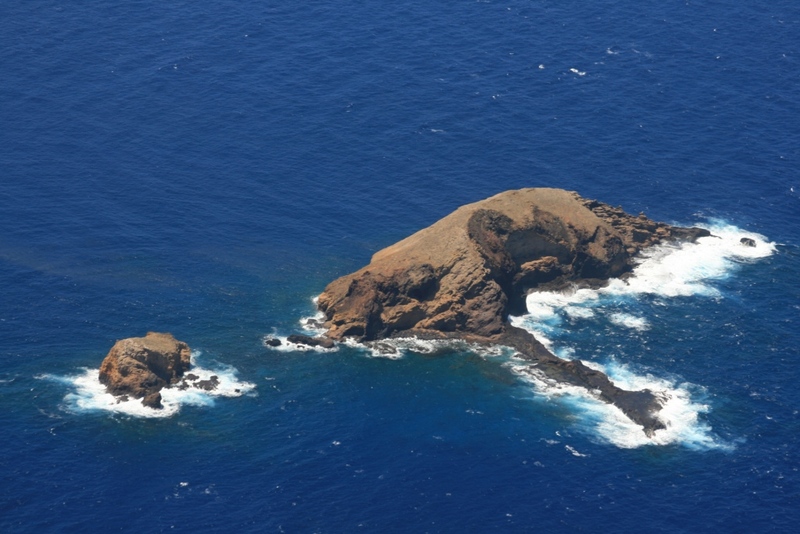 This is the very isolated leprosy quarantine area of the island. Many folks inflicted with the disease still live there. I know where I’m headed if I ever develop leprosy. 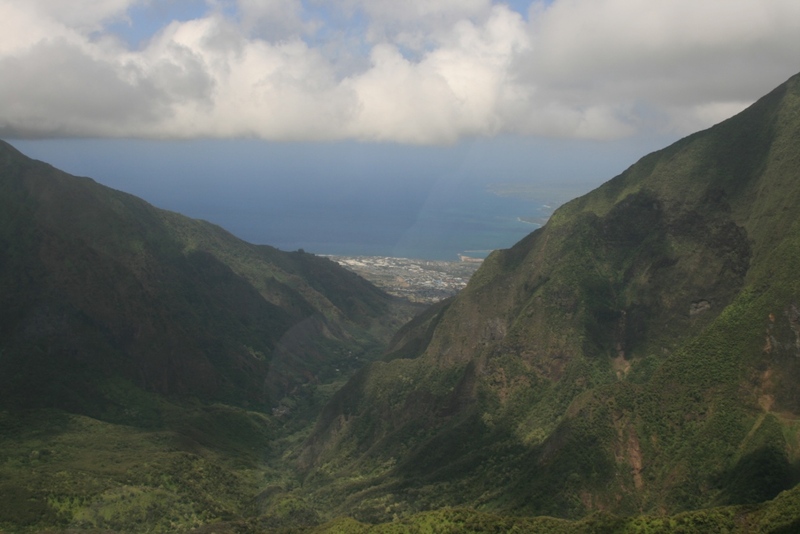 We flew through some of the valleys to take a shortcut back to Maui. And then into some of the drier parts of the island. 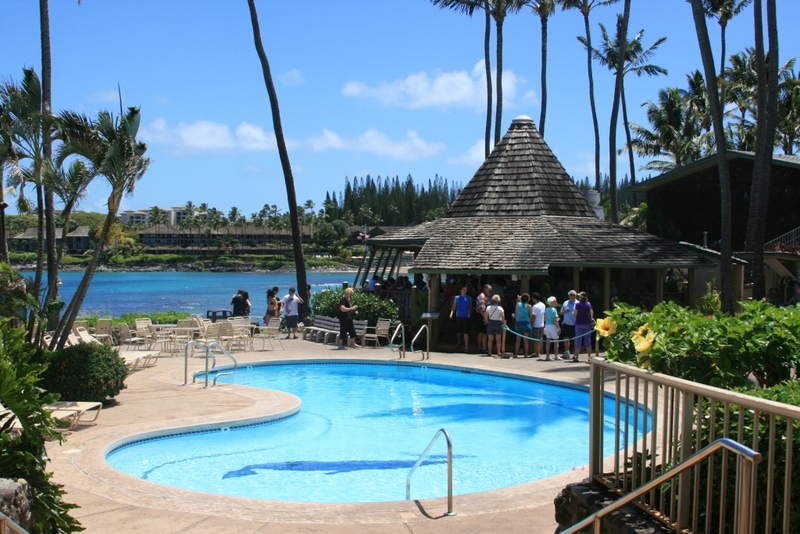 These are some ancient pools built by the Polynesians. They dug them out of the reef so fish could swim in, but never swim back out. They make for pretty photographs. We made it back on the ground safely. 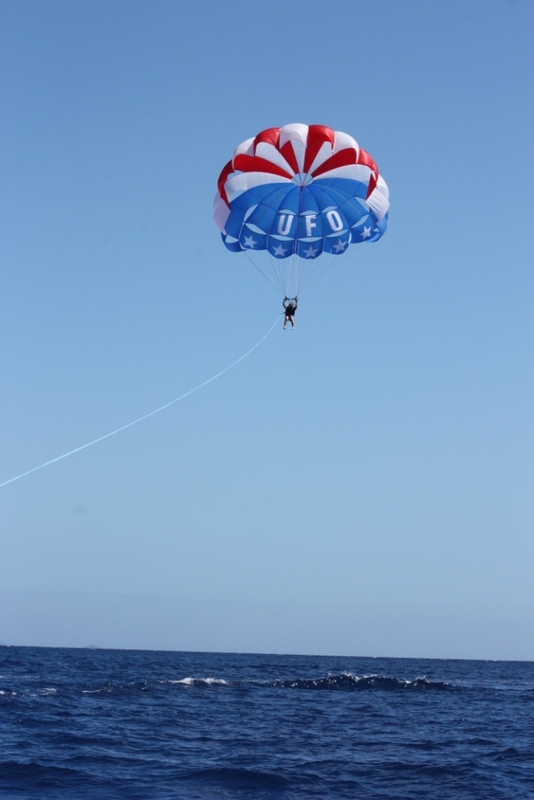 It was a fun adventure, I recommend using Blue Hawaiian Helicopter Tours if you go to Hawai’i anytime soon! We freshened up and headed over to a highly recommended dinner spot called Mama’s Fish House. It was just outside a little town called Pa’ia. 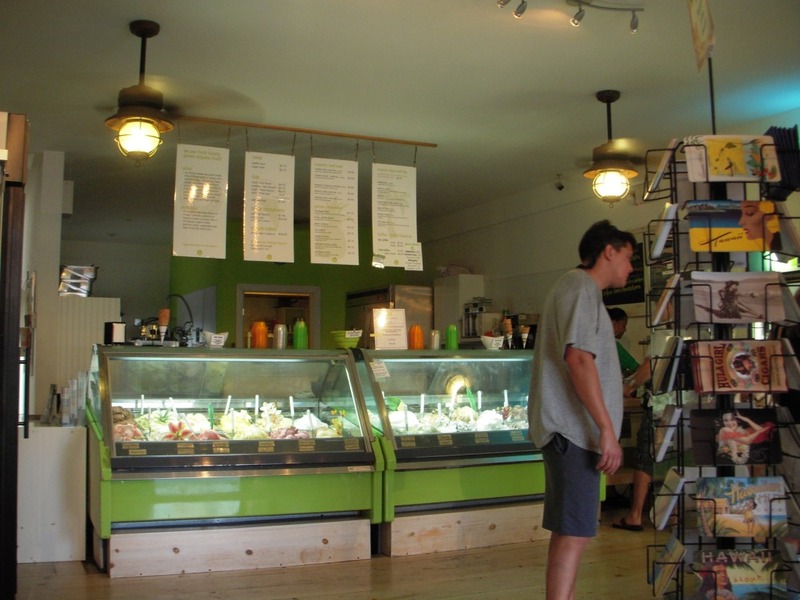 Pa’ia is a charming little town with a lot of great restaurants and gelato, espresso, and gift shops. We stopped in for some tropical and pineapple gelato. Charming little place. Mama’s was everything people said it was. Expensive, but worth it. Delicious fish (even some on my safe list!!! ), great service, beautiful views in a relaxed environment. 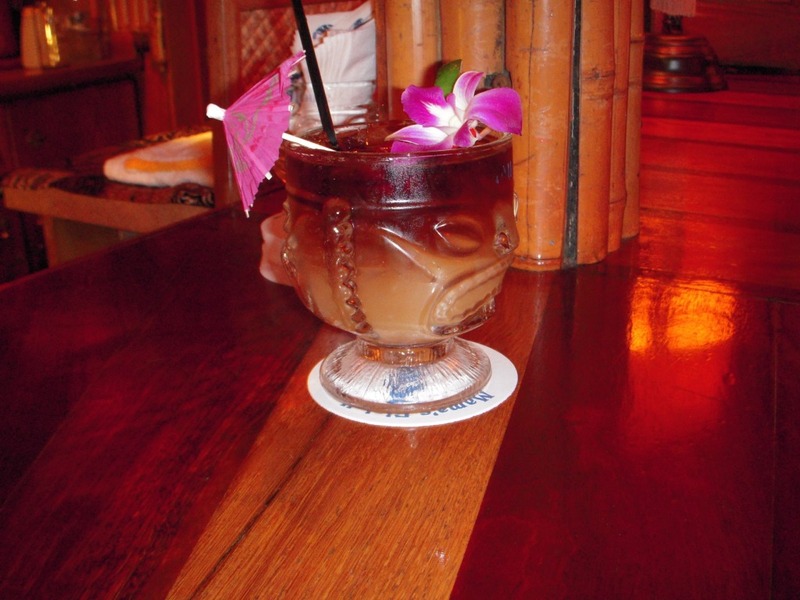 Their specialty drink was of course, the Mai Tai. Scott had one while we waited for our table to be ready. Every drink (everywhere, not just here) was always served with a big chunk of pineapple and an orchid. They left the pineapple off his drink, which was usually immediately devoured by me anyway, so it wouldn’t have made the picture. Scott had the hawaiian sampler platter that had Ohno, grilled bananas, poi (he was not a fan), sweet potatoes, and a tea leaf with steamed pork inside. They served it with a cracked coconut that you poured over the top of the dish. Quite tasty, if I say so myself! 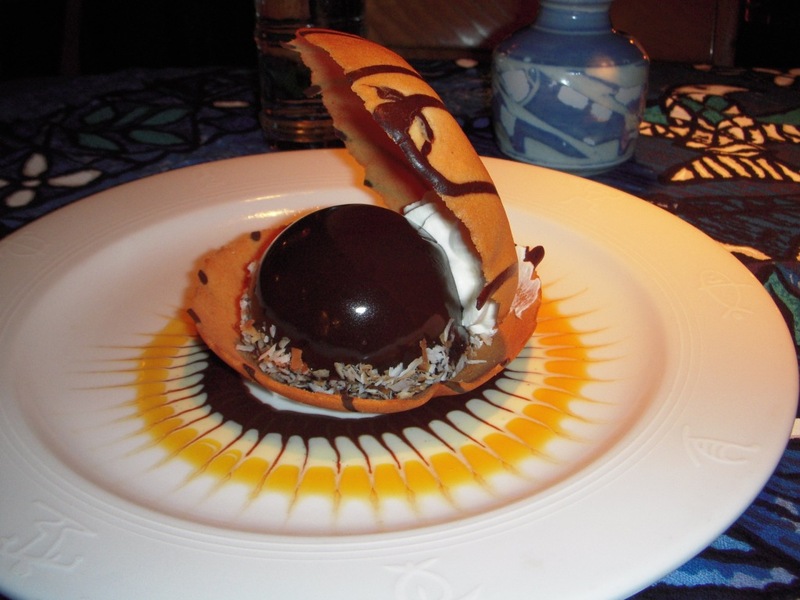 For dessert we had passion fruit mousse topped with chocolate ganache, dipped in coconut flakes and served in a little clamshell cookie. Adorable and tasty. 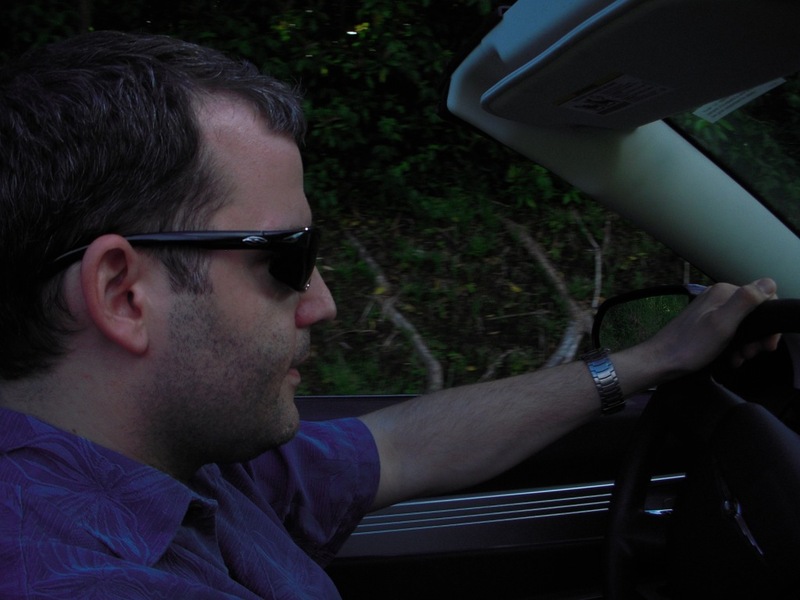 We rode back to the hotel with the top down in the evening breeze. It was a perfect night! We decided to take advantage of the long Memorial Day weekend and extend it into a little vacation in paradise. 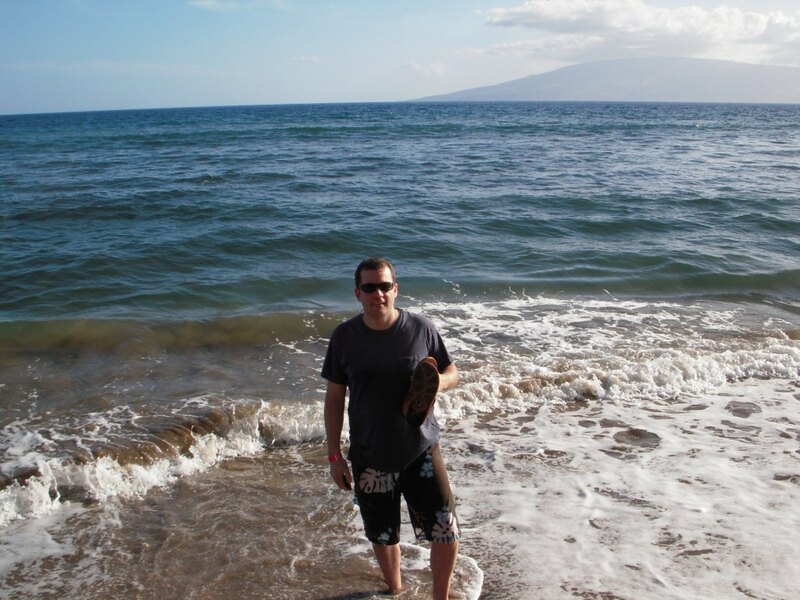 We went to Maui for the week and shook out the late lingering Seattle winter and warmed up our toes in the sand! We got there on Thursday afternoon and headed straight for the pool and beach. I was quite puffy from the 6 hour dehydration chamber (aka: boeing 737) and needed a good walk and lots of water. 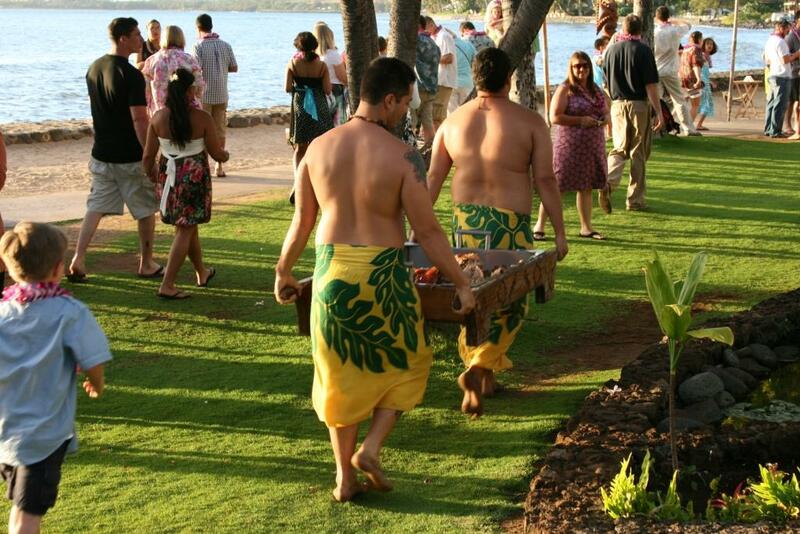 We grabbed ice waters to go from the pool bar and walked down Ka’anapali Beach. We found some hammocks along the way that were just calling our name. So relaxing. 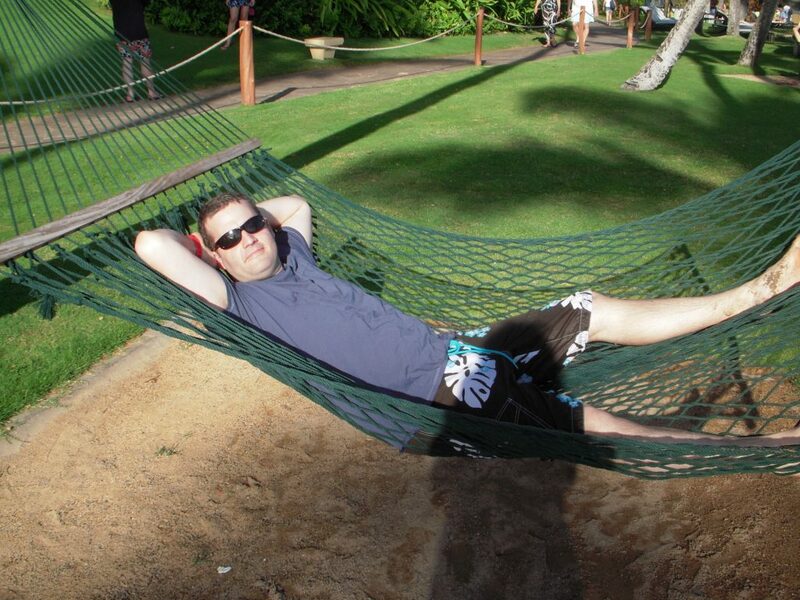 These hammocks were pretty much full the remainder of our week! Hammocks tethered between two palm trees are so dreamy. It’s like a corona commercial. We headed back up to the room to freshen up and go find some dinner. We happened to catch a pretty nice sunset from the balcony. Did this cloud just roll in while the sun was going down? Strange, huh? 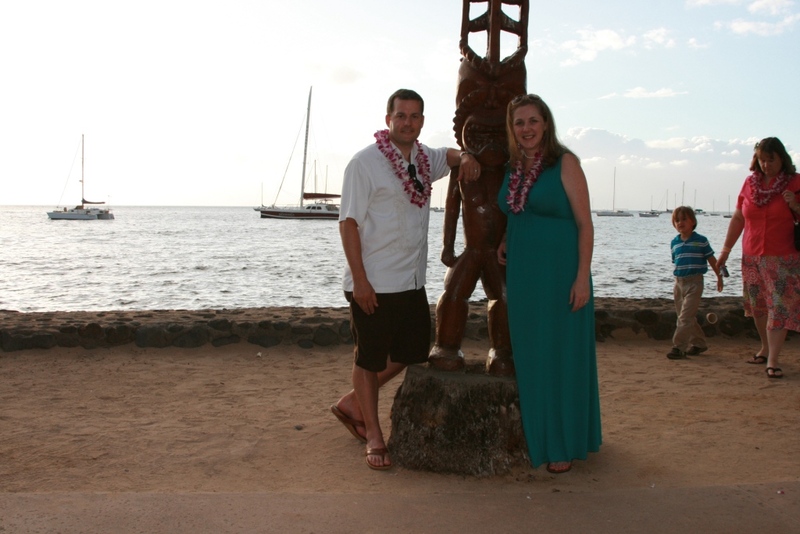 We walked back down Ka’anapali Beach to find some dinner and came across a lovely proposal. 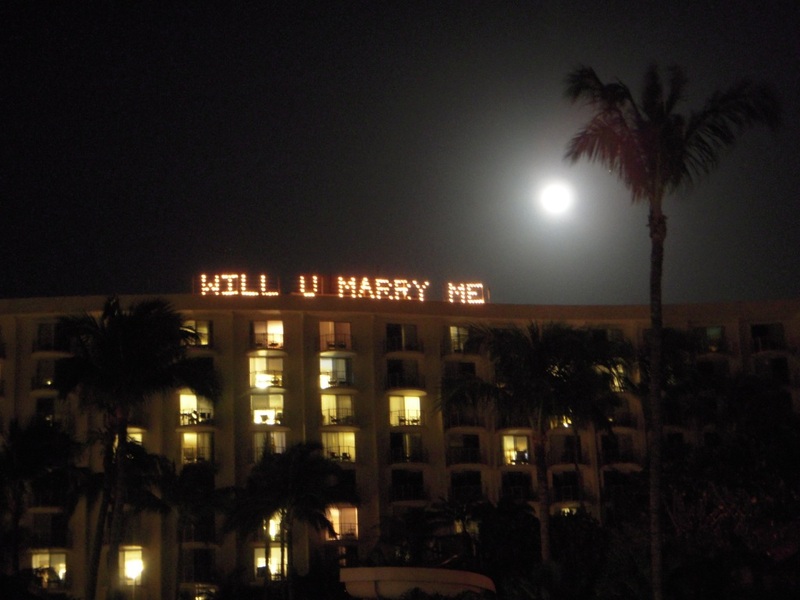 I hope she said yes. 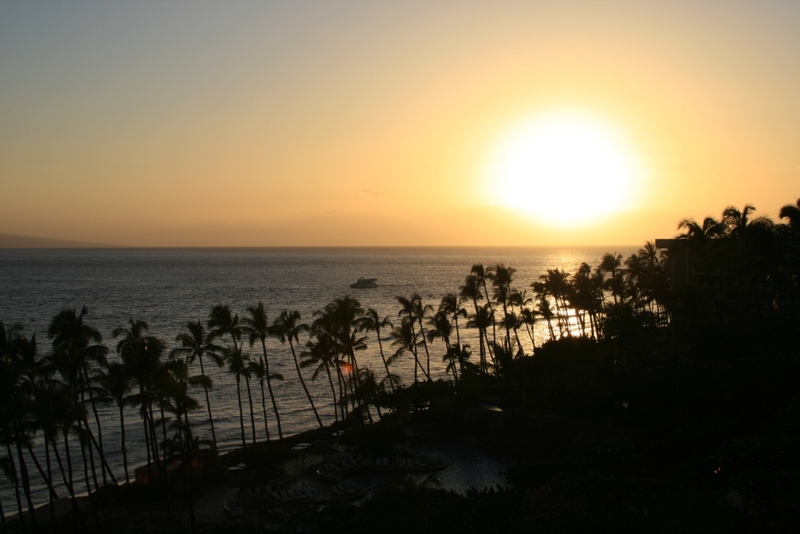 You already saw the daytime view from our balcony in my Aloha post. 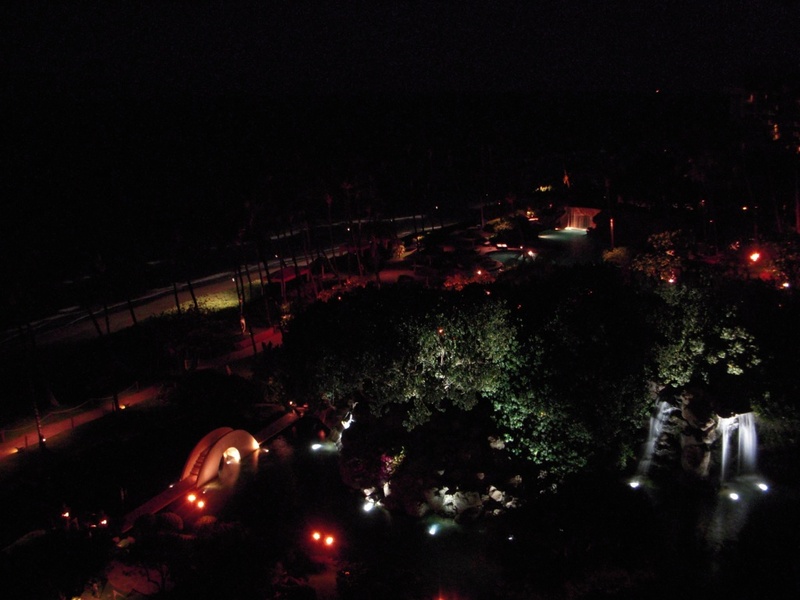 Here is the nighttime view. Pretty nice!